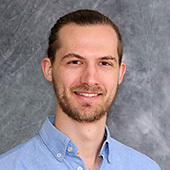 Christian develops methods for evaluation of how the flexibility and controllability of industrial processes are affected by increased heat integration with emphasis on the pulping industry. He uses these methods to derive guidelines for design of heat exchanger networks with good operability. The pulping industry depends strongly on global market conditions, and flexibility and controllability are vital to meet variations in, e.g., energy prices and demand. The established guidelines should enable the pulping industry to significantly reduce its energy use. There might be more projects where Christian Langner participates, but you have to be logged in as a Chalmers employee to see them.